Noctis Cydia Repo For IOS 10.3: iPhone devices are pretty neat in the sense but at the same time we might get tired of the same old look. Some Android users might make fun and laugh but they might know that are some pretty amazing themes out there like Noctis Cydia tweak. Well this is a dark theme mode released for IOS platform which can be purchased and installed on any iPhone device. In this article we will be going to review about this Noctis Cydia repo source a little bit and then find out how to purchase it as well. This theme once installed does not need to be always on, you can switch it off or on from the control center as you like. Users can also choose between different dark levels of themes available that fills the gap poorly filled by Apple’s IOS OS. We can consider this theme as complete user interface change, where users can select between the light, medium and dark themes. This Cydia source can be downloaded for IOS 9 and above, and it brings different features which include 3D touch menu as well. On the other hand it gives you banner alerts along with Control center alert and widget options with a dark theme. Another massive feature is that you can select any other color tint to be added as per your preference which makes this theme a whole lot better. I find this app’s developer to be good because he has been updating the app and fixing any issues that have been mentioned about. At the same time this repo also allows users to select a different color behind every page which some users might find quite useful. Under the settings section of the repo, you can select to either enable or disable the tweak readily. 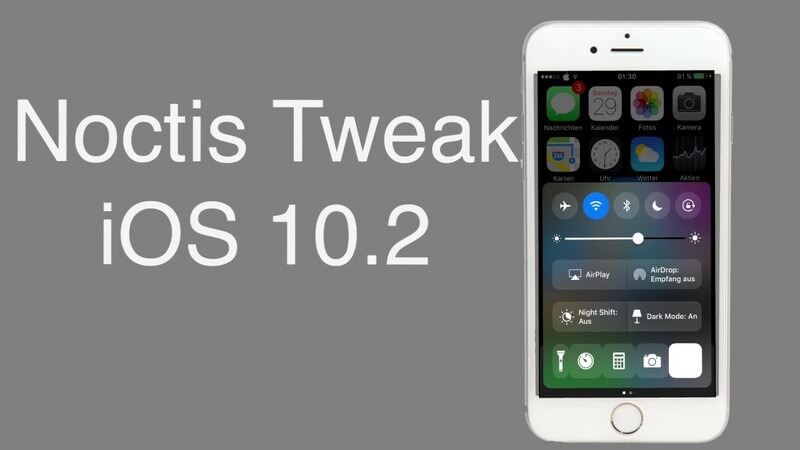 Why to Download Noctis For IOS 10.3 iPhone or iPad? I guess I should answer this simple question which is quite correct because there are people who love their normal iPhone theme. Then there might be some people who want to experience some new theme and redefining experience on their iPhone. Well if you already have jailbreak your iPhone, then you can simply head over and install the Noctis Cydia tweak to get this new dark mode theme. But still you might wonder that spending $2.00 is good enough for a Cydia theme. The answer is simple Noctis was released sometime back and by now it is one of the effective one to provide better theme selection and features. And this reason alone is enough for users to g on and try Noctis Cydia repo source for their iPhone device. Now that we have known that this Cydia theme by the name Noctis is quite amusing and at the same time it is a paid repo source. 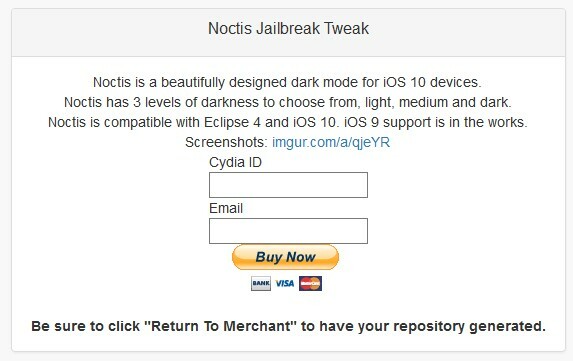 Well you already might have known that Noctis Cydia tweak is paid source but it costs only $2.00. And I guess spending $2.00 to bring a new dark theme mode to change the way your phone looks like. Once you have purchased the repo source, then you will receive mail notification about the Cydia repo source link, which you can add to your Cydia repo source and then install Noctis Cydia tweak easily. In this way you will be able to get a new redefined look on to your iPhone or iPad device.